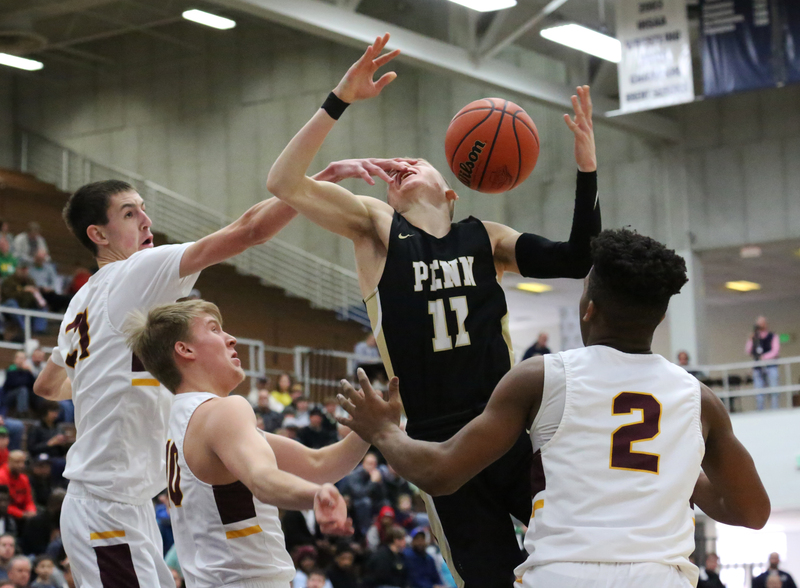 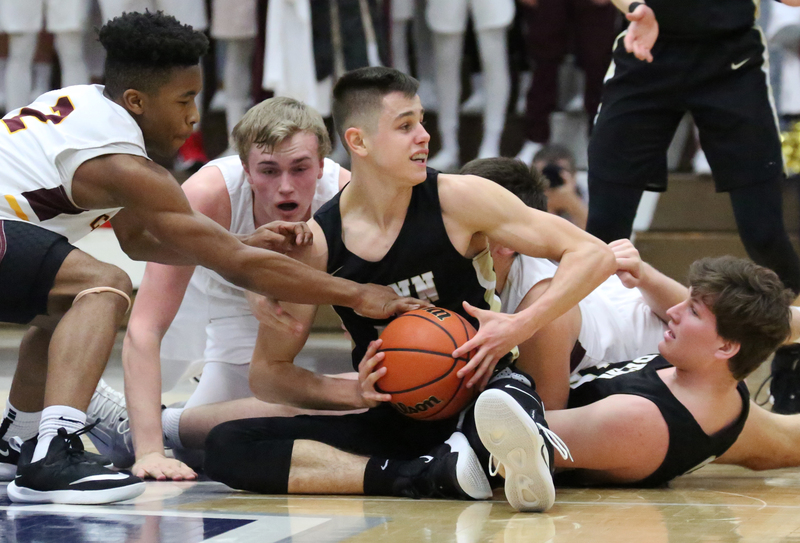 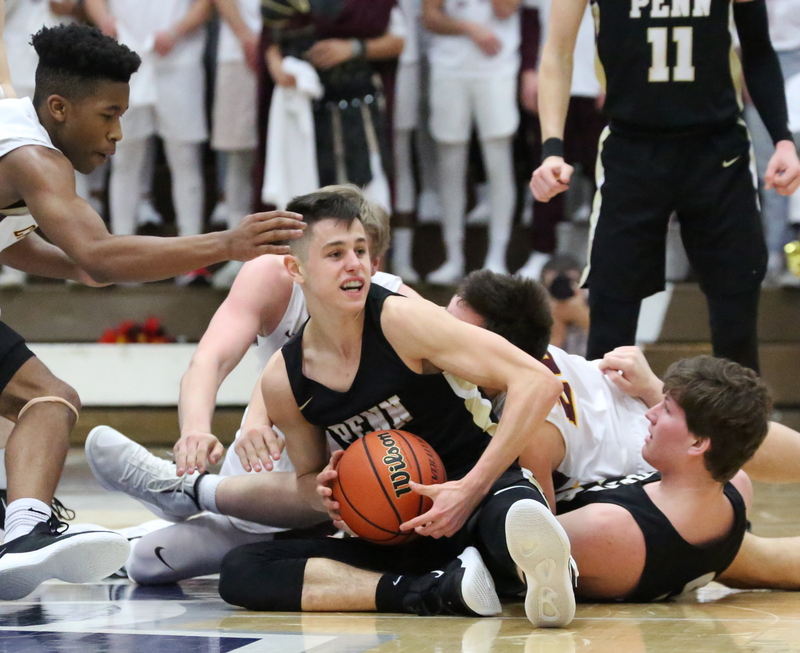 Penn Boys Basketball player Beau Ludwick outfights Chesterton players for control of the basketball. 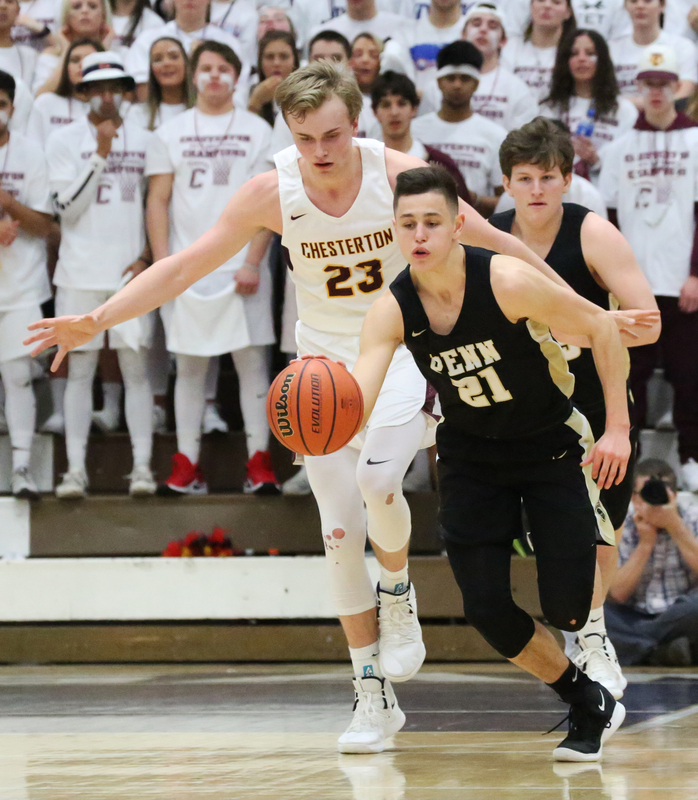 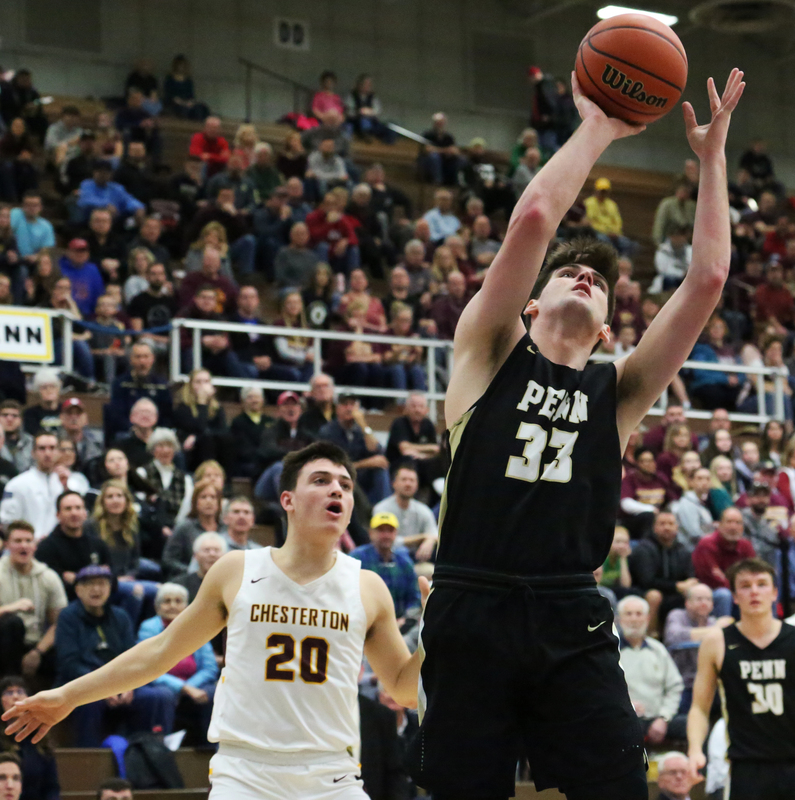 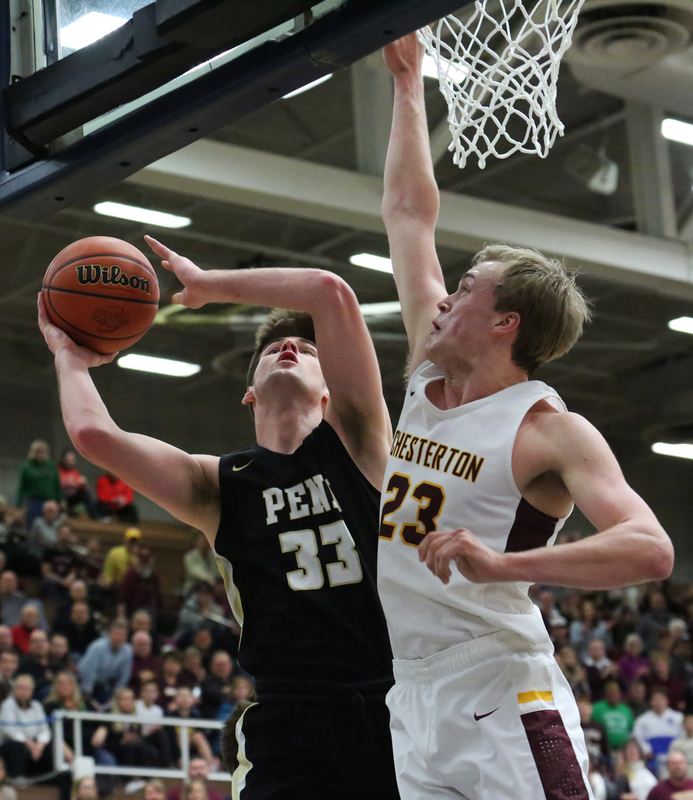 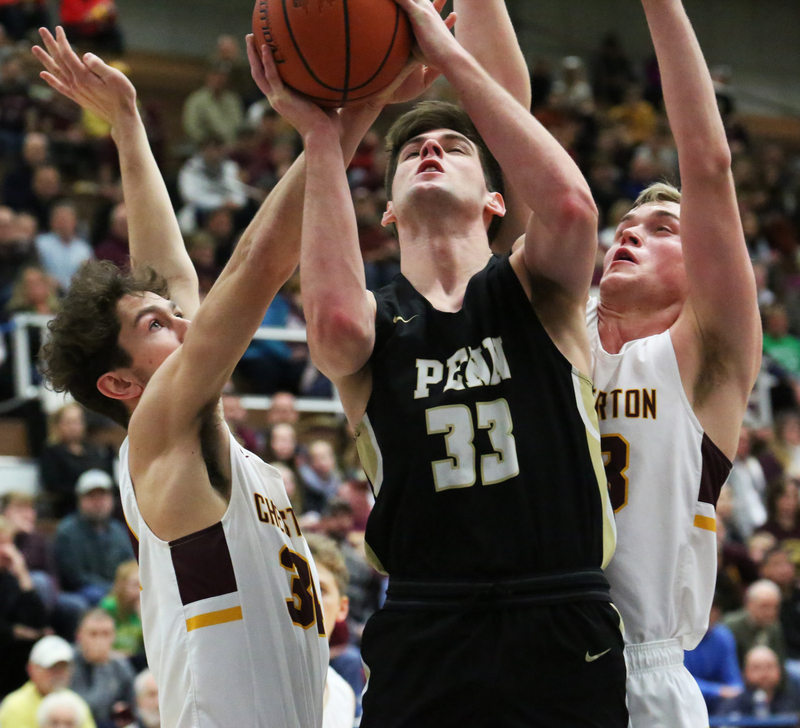 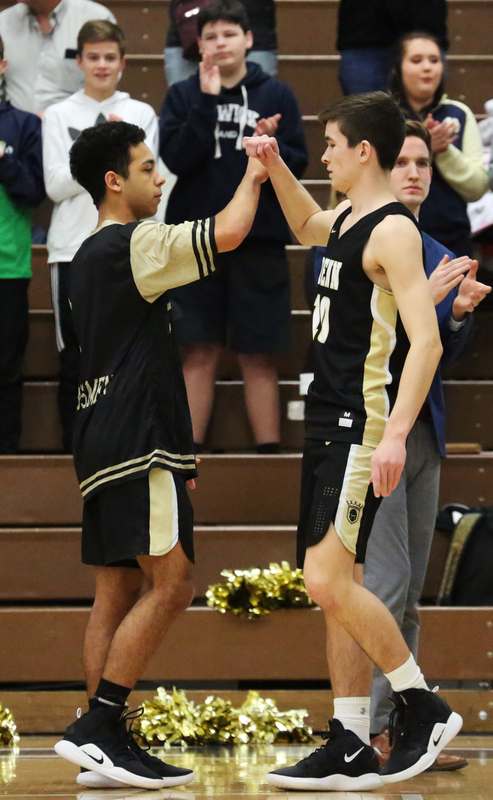 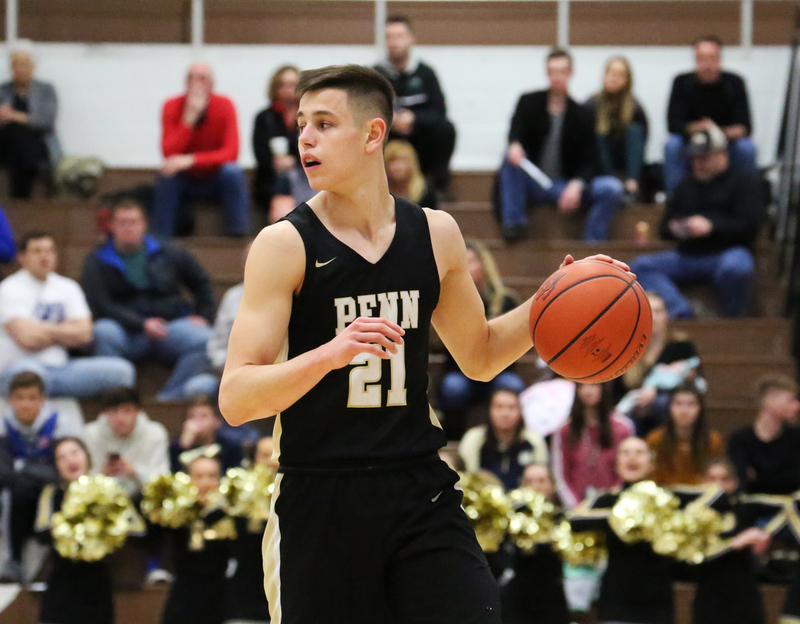 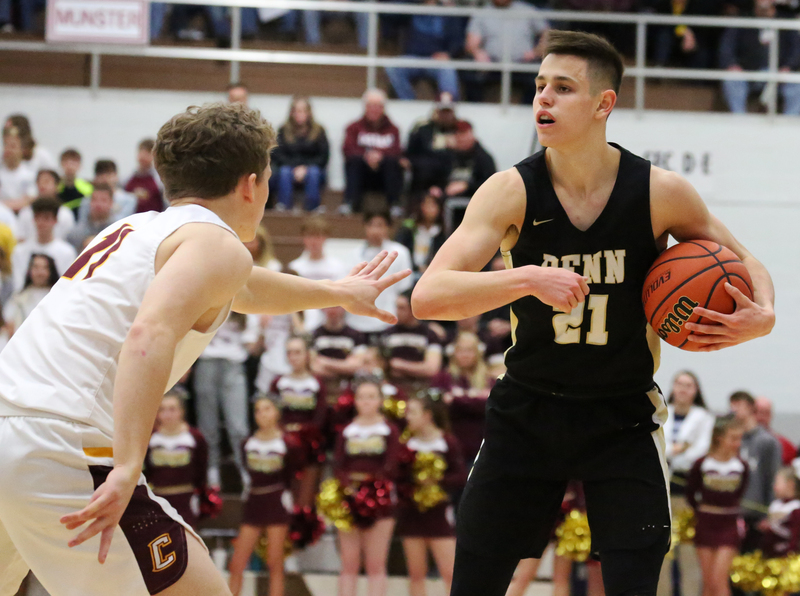 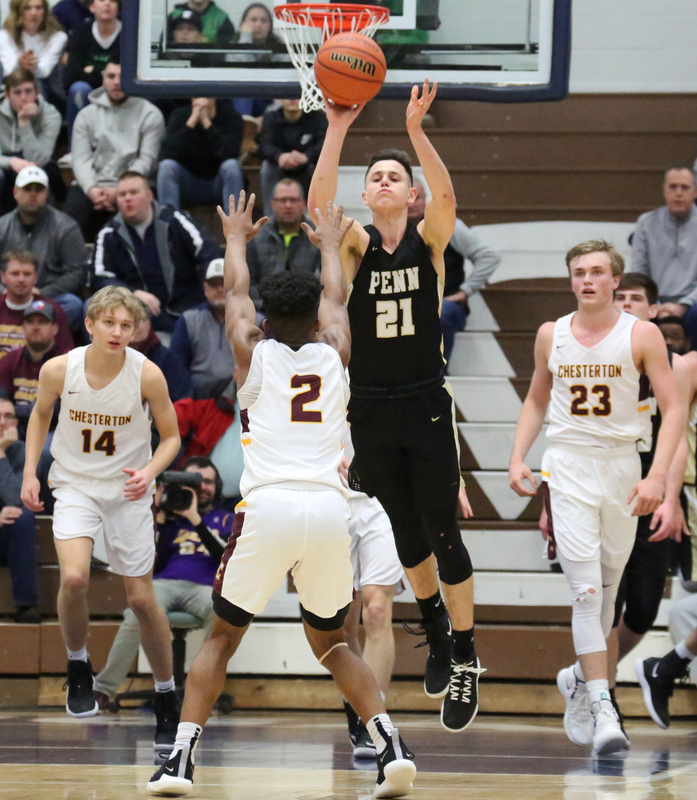 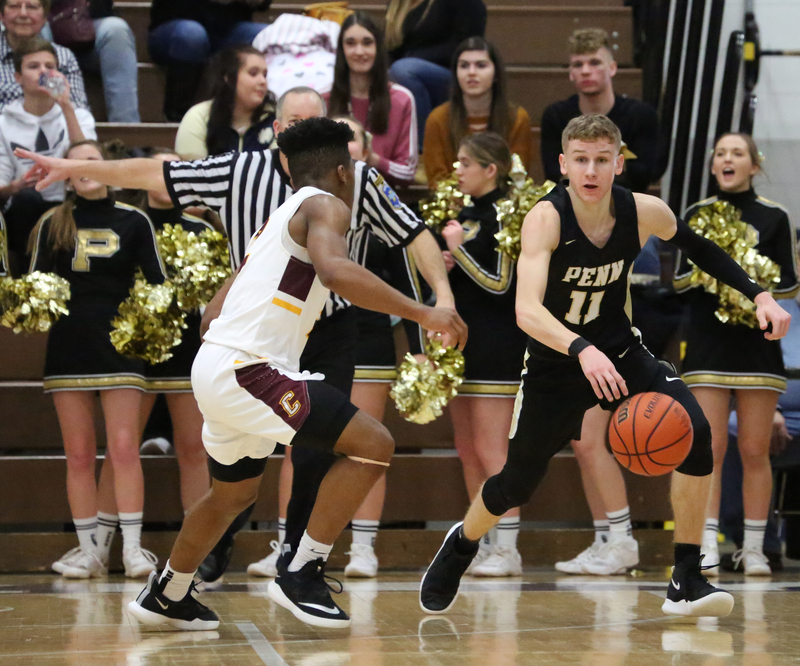 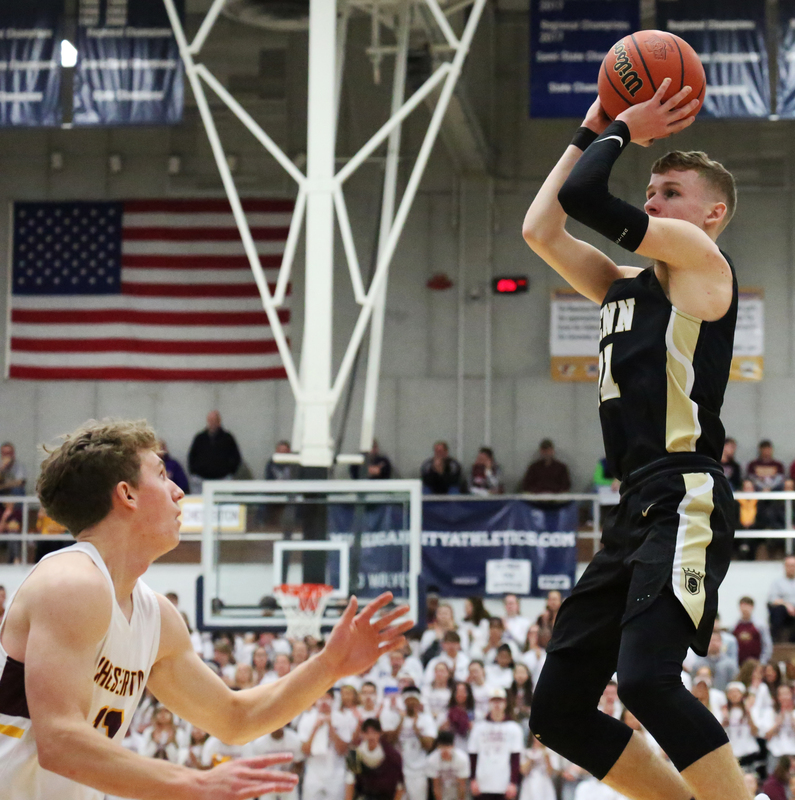 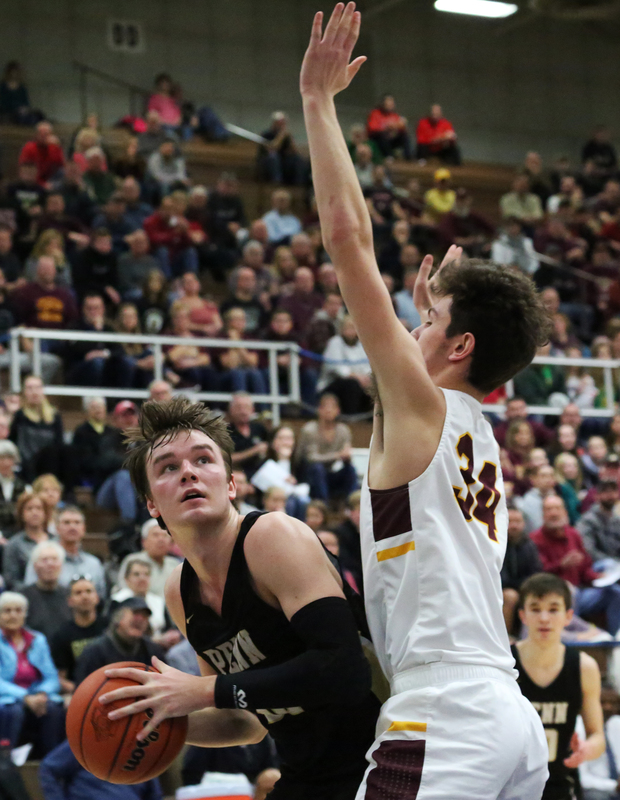 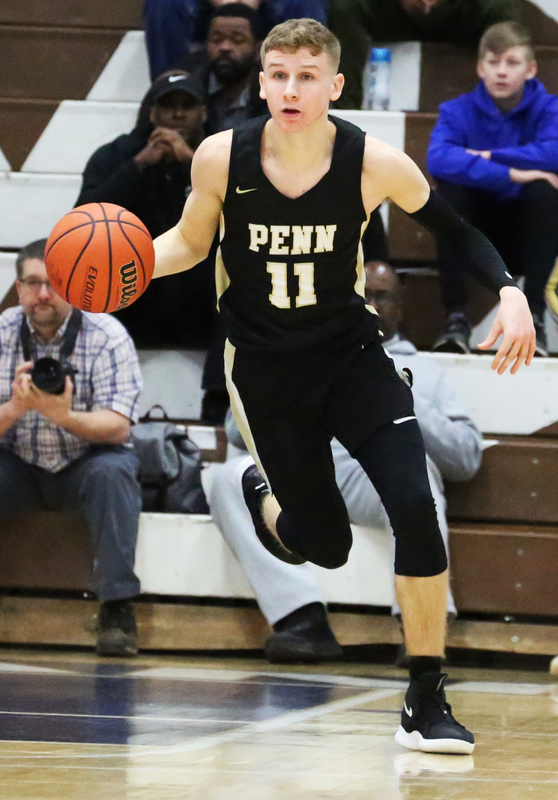 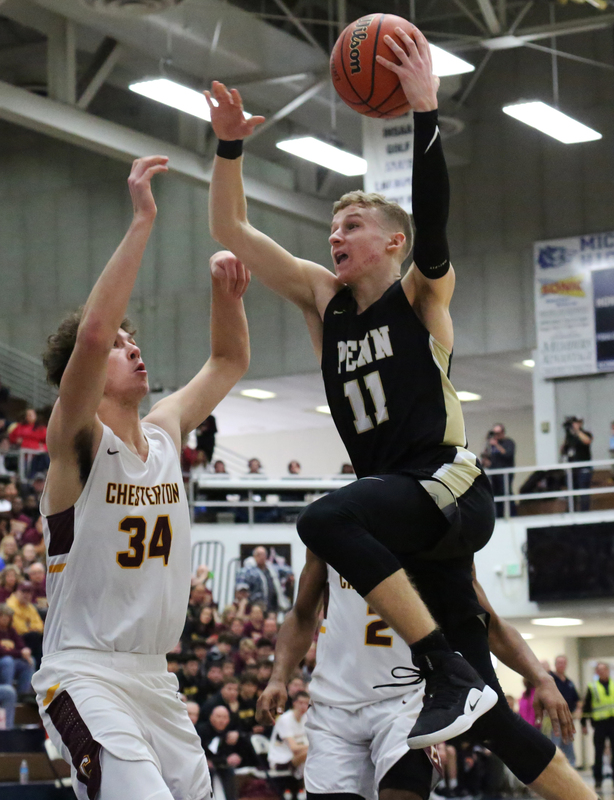 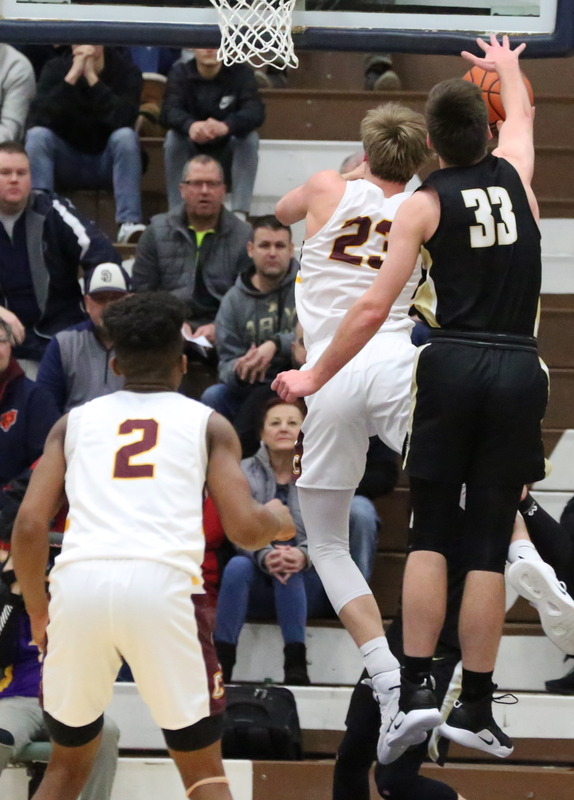 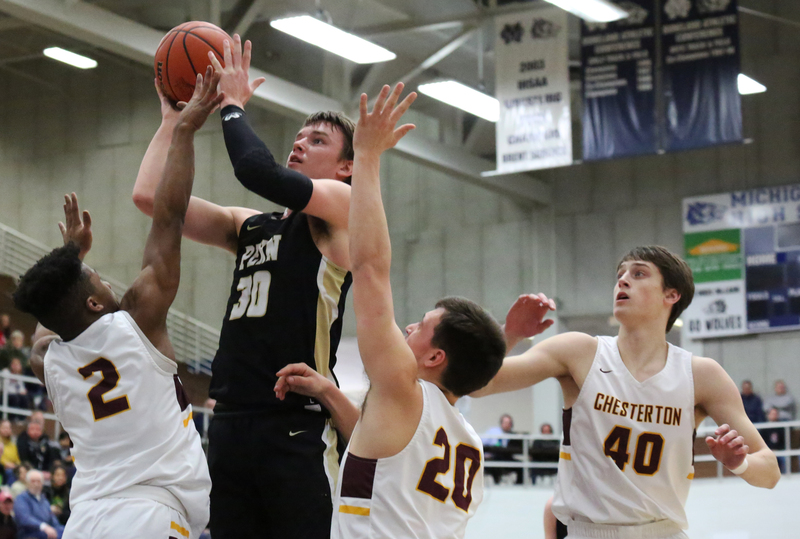 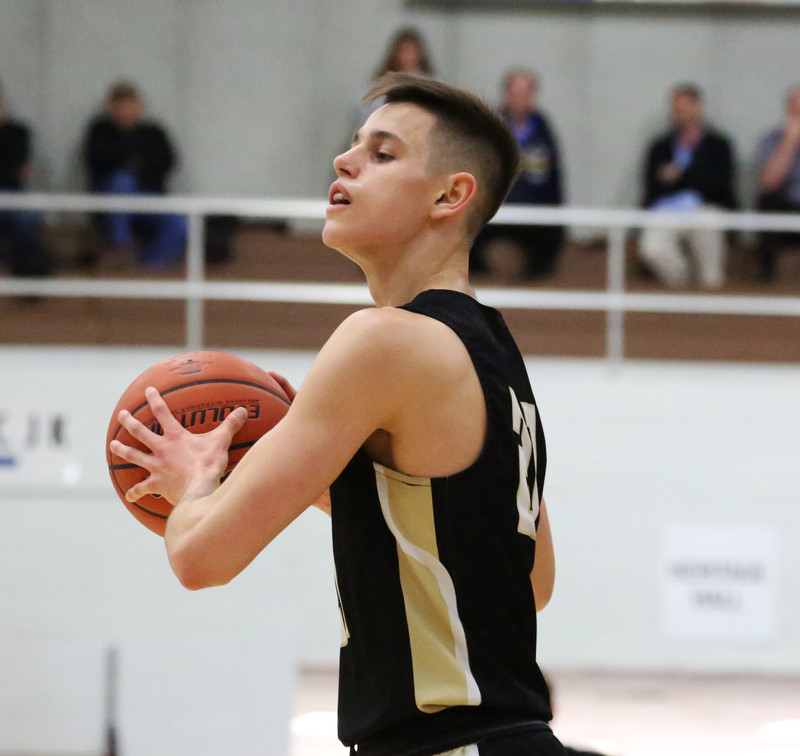 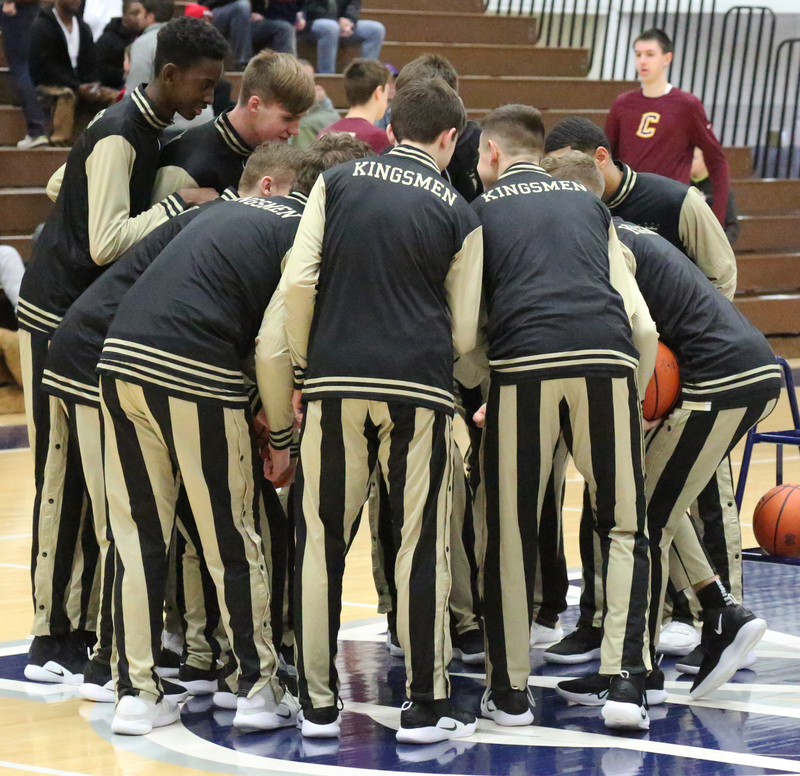 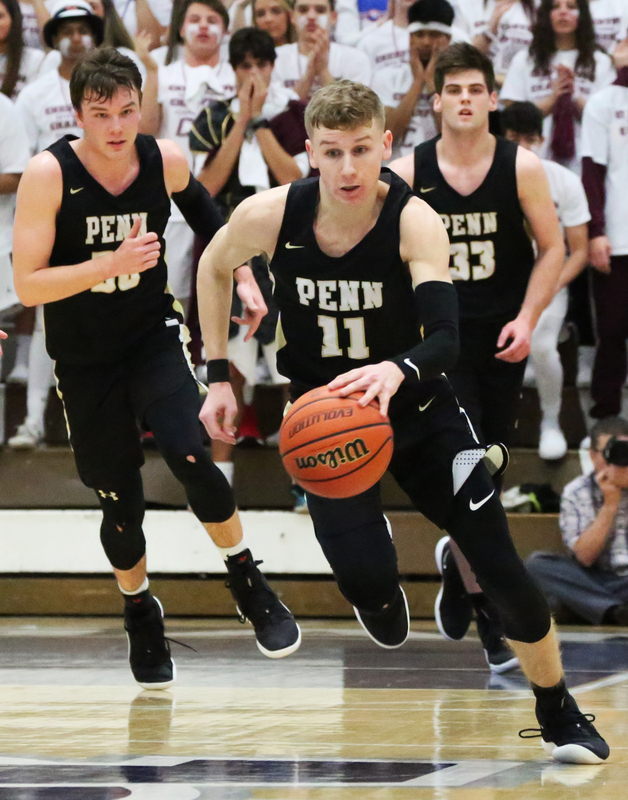 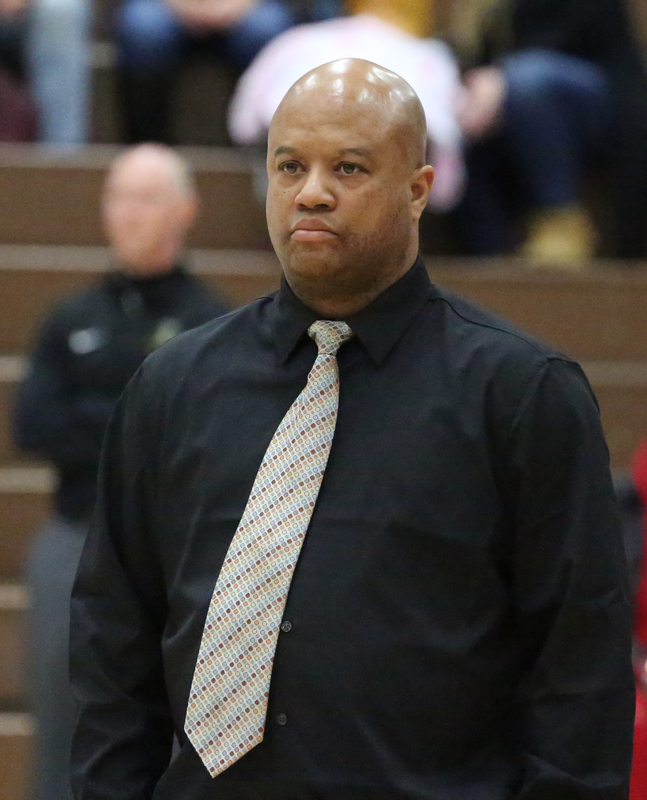 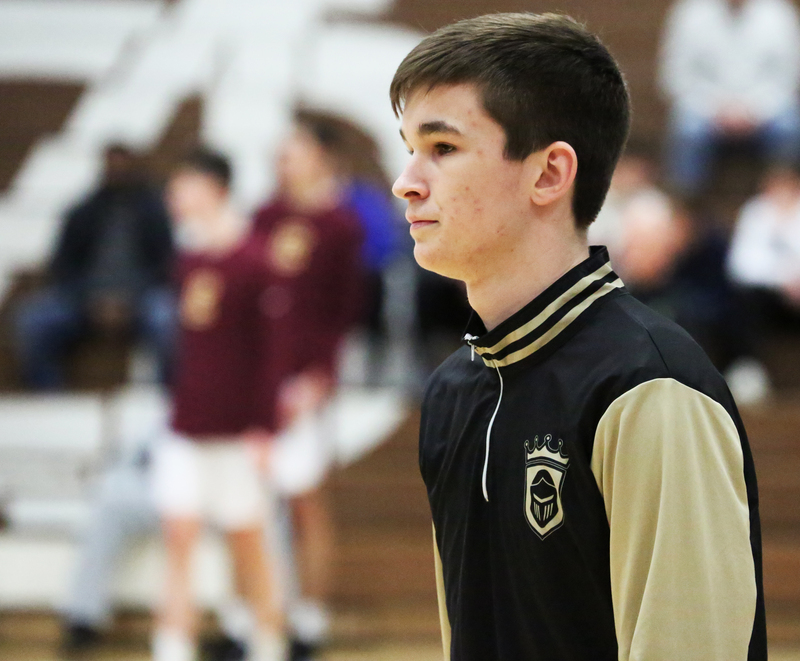 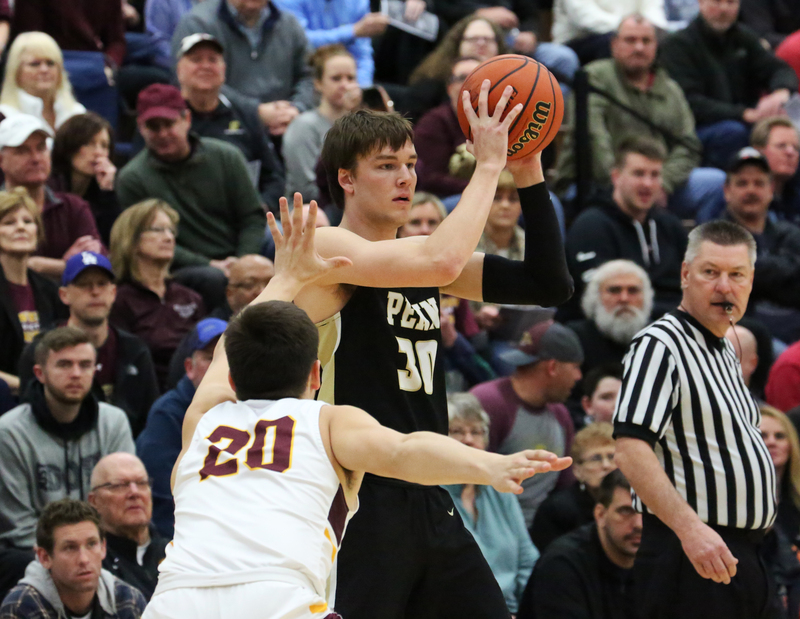 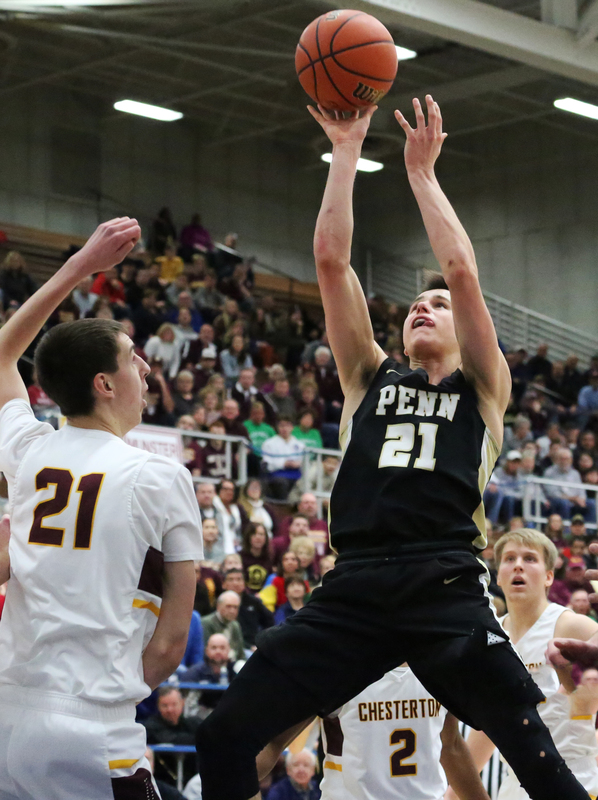 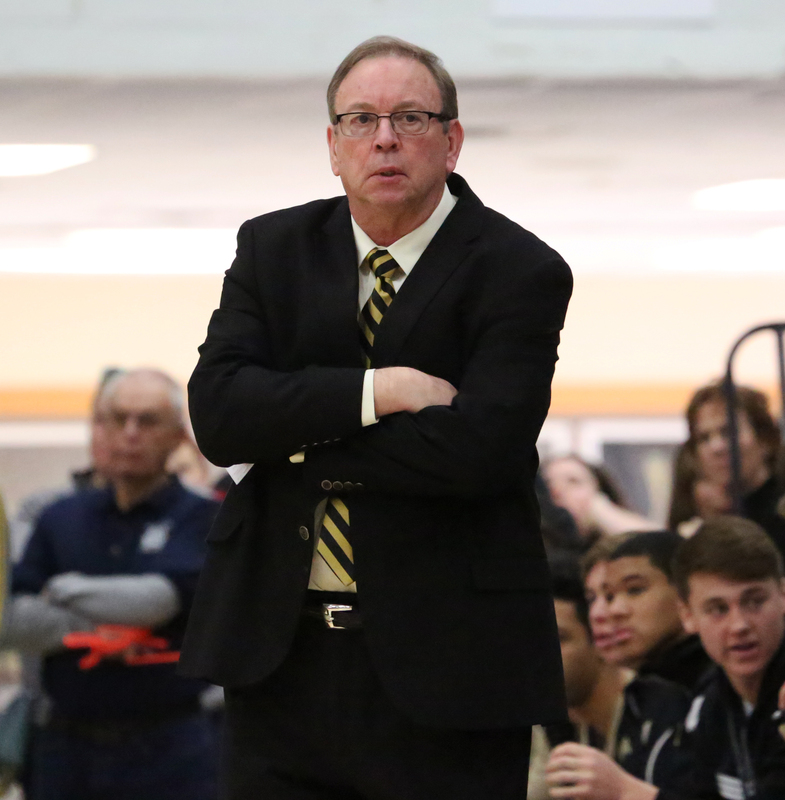 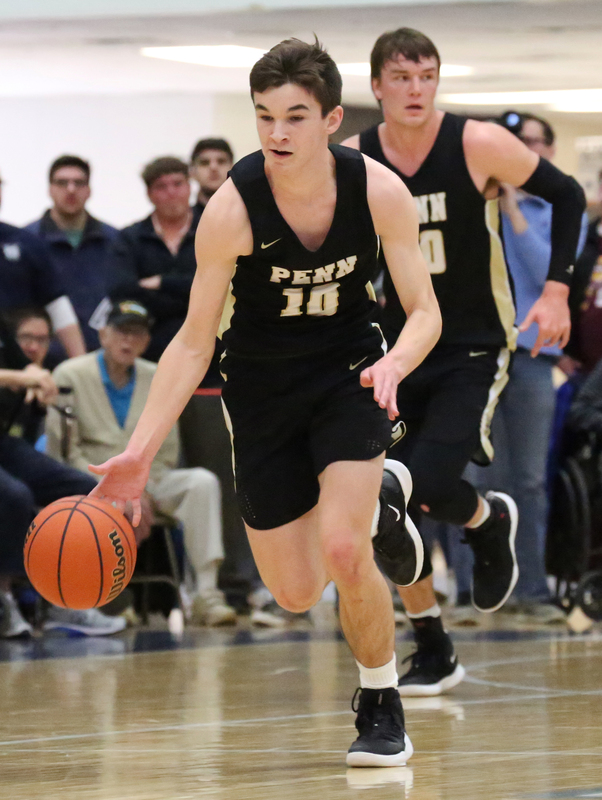 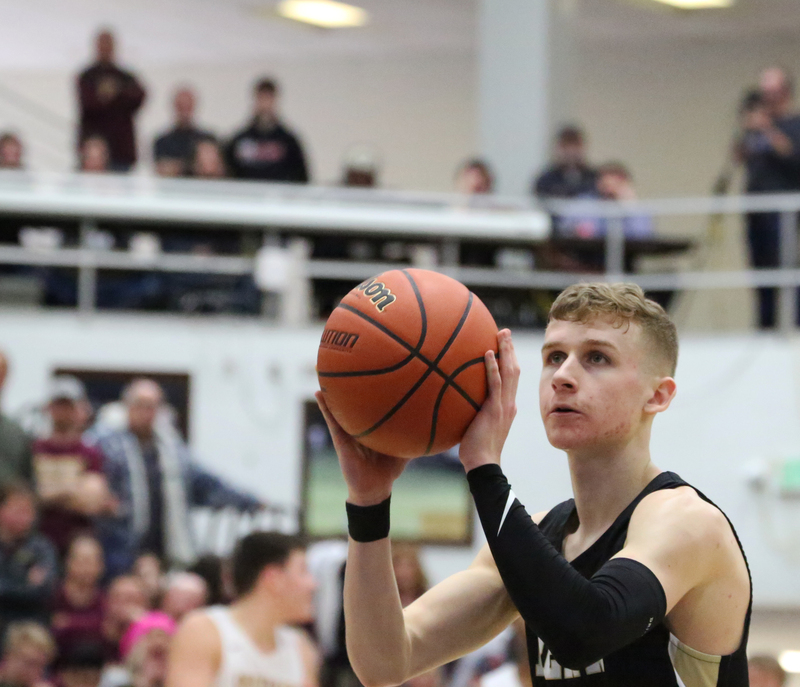 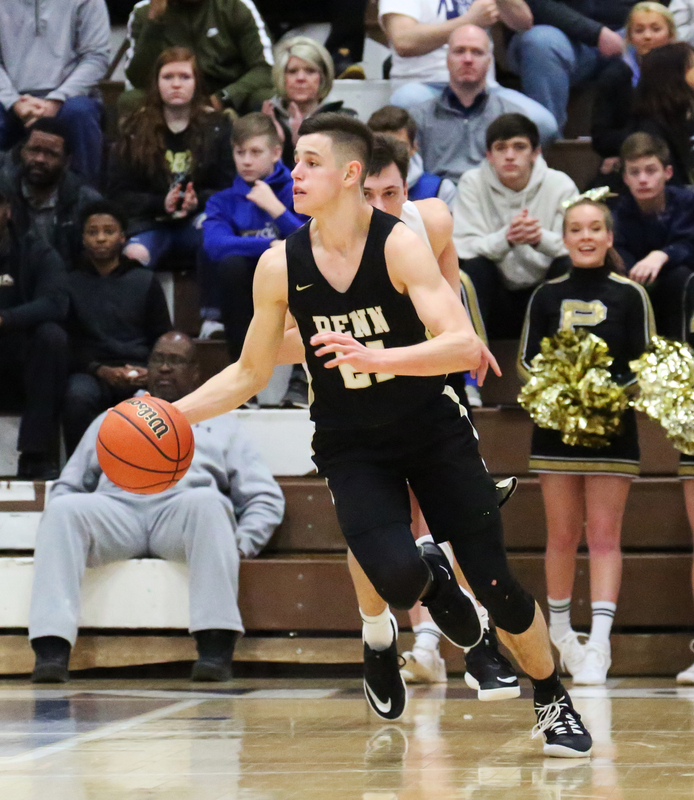 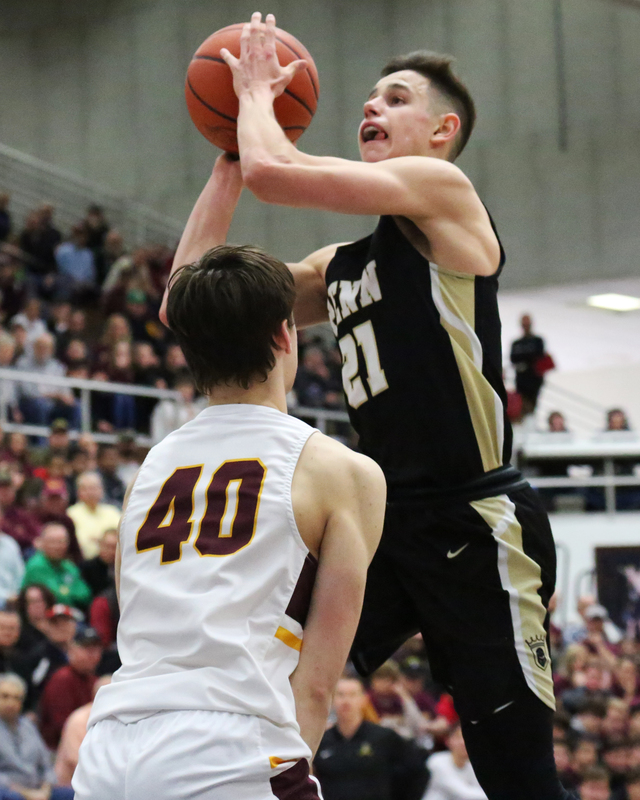 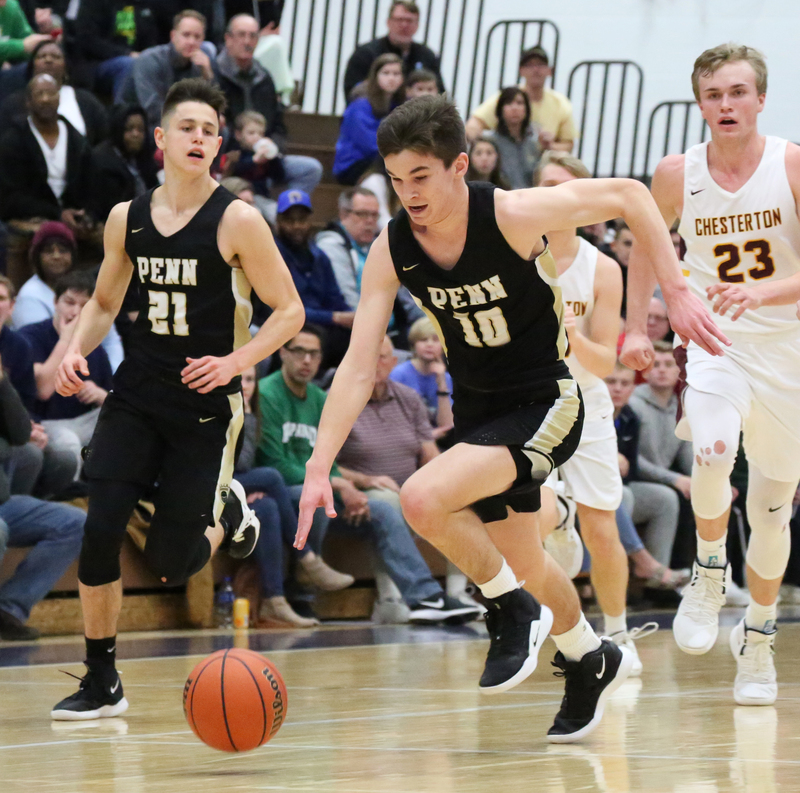 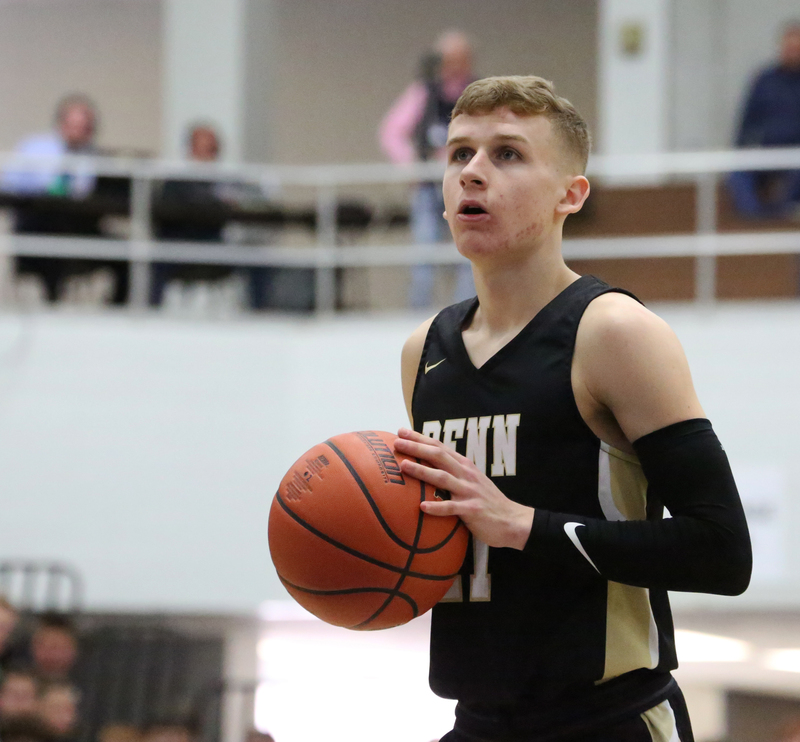 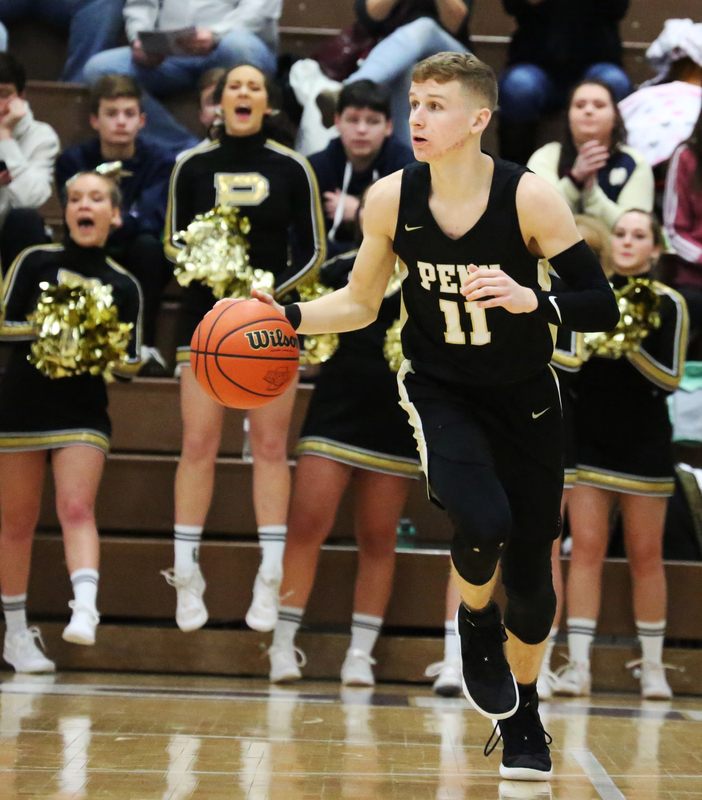 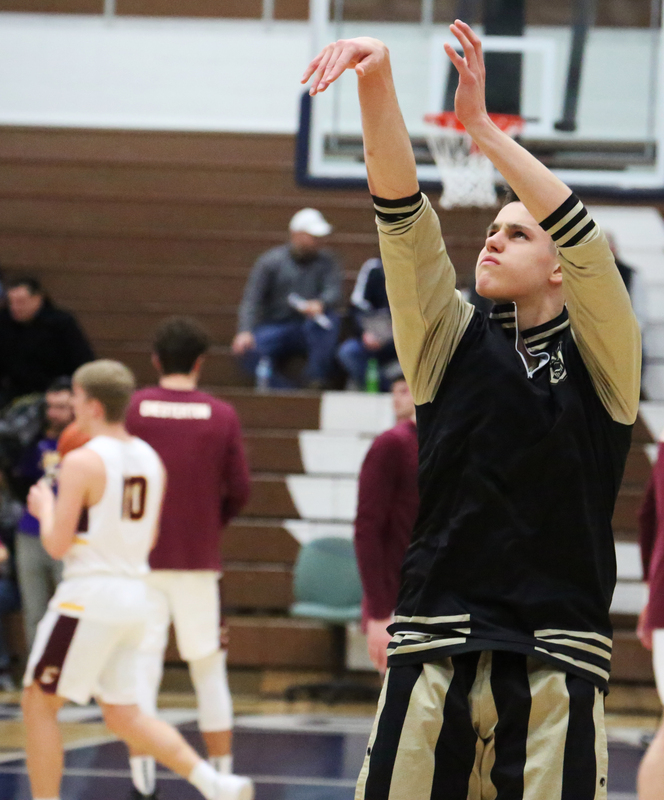 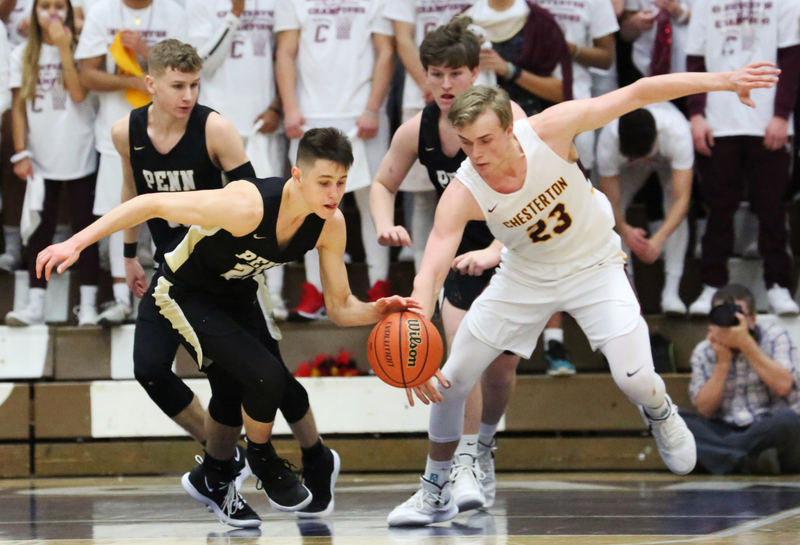 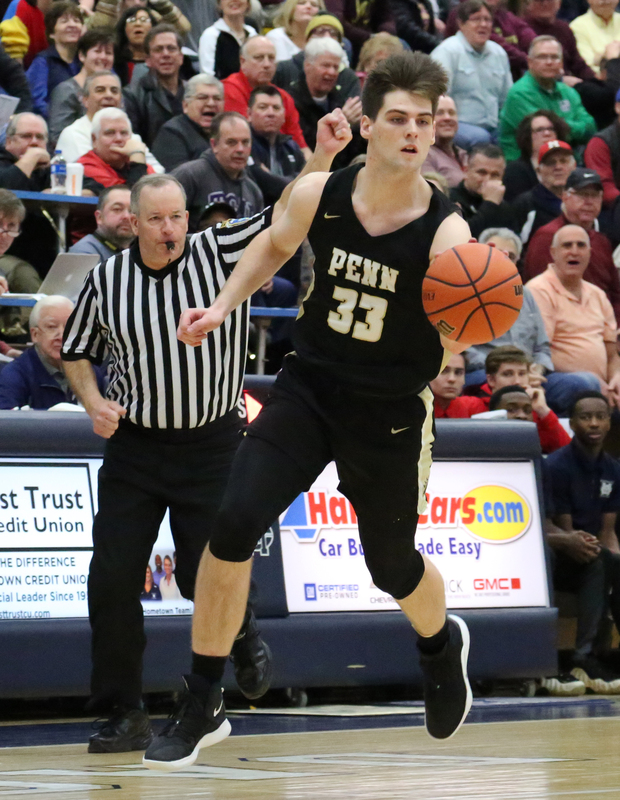 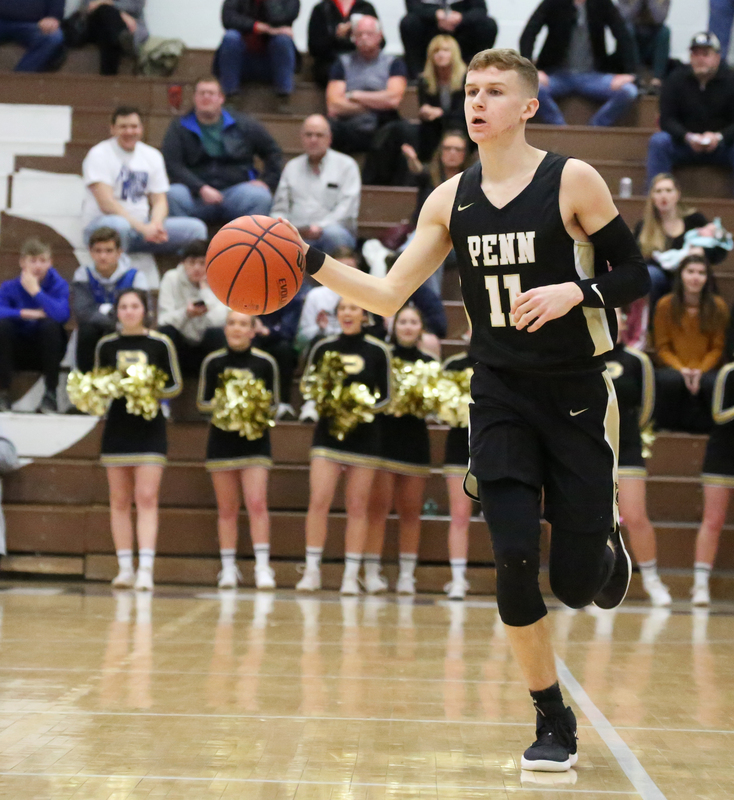 The Penn Boys Basketball Team defeated Chesterton, 49-42, in the opening Game of the Michigan City Regional on Saturday, March 9, 2019. 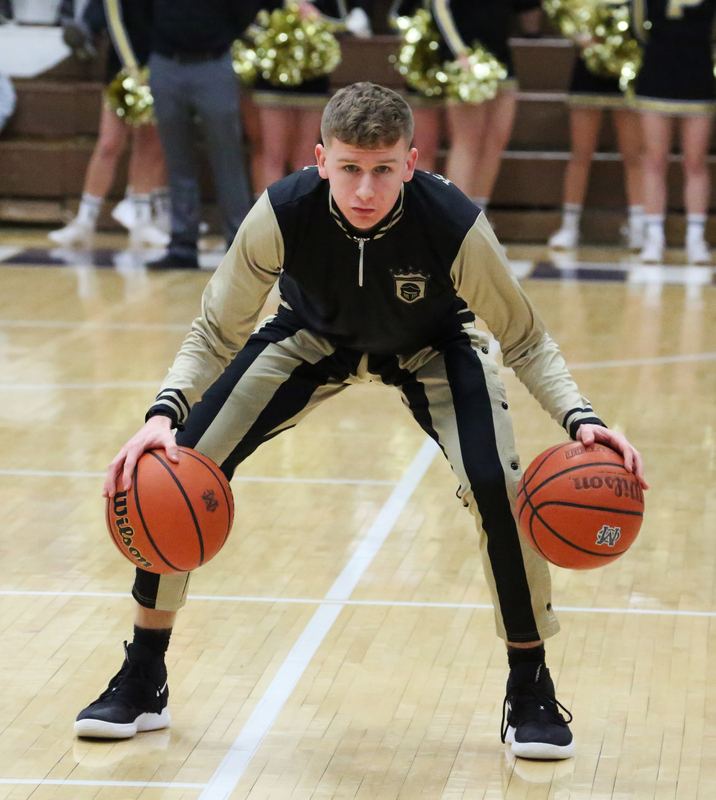 A Photo Gallery is posted below.